Innovation is the key to industrial progress and to encourage the innovations carried out in the field of composites in India, an innovation award programme was initiated in the year 2008. 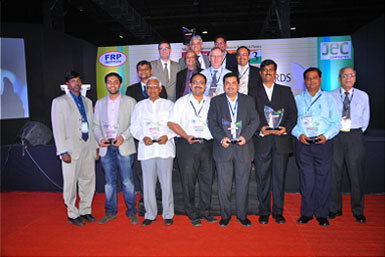 FRP Institute and JEC group, France jointly introduced “ ICERP-JEC Innovation Award Programme” during ICERP 2008. The Innovation Award Program encourages the Indian composite professionals and companies to focus their application of information, imagination, skill and initiative through which new ideas are generated and converted into useful composite products or processes. This Innovation Award Programme gives the Indian composites professionals and companies great scope to create value to their customers and also brings recognition, not only in India but also internationally. The winners of the ICERP-JEC Innovation Award Programme will be presented a trophy and the Winners Certificate by JEC, France and FRP Institute. 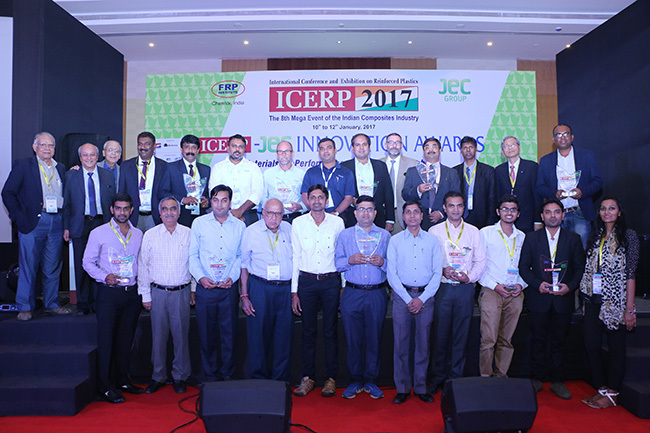 This ICERP-JEC Innovation Award Programme has created awareness in the Indian Composites Industry and increased number of applications are being received form Indian companies in each edition as we progress from ICERP2008 to ICERP2015.